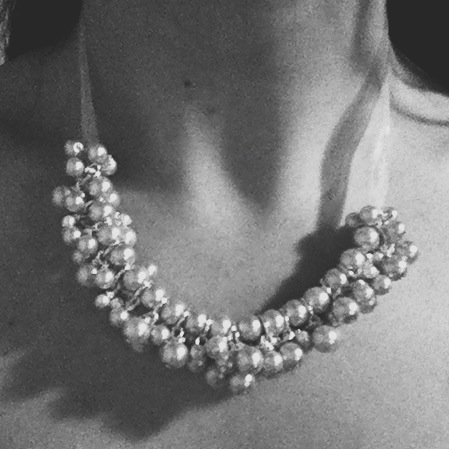 It was my project over the weekend, that I would create a necklace. 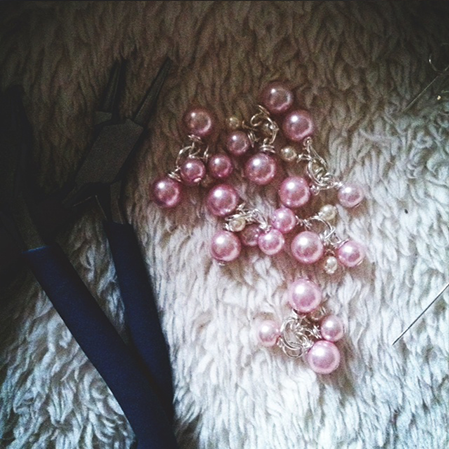 I used to create jewelry back in high school and it was a wonderful hobby. I have decided to take it up again, because it allows me to still be creative, away from my computer. I’ve realized that because I am so highly creative, I have to constantly be creating something. When I am not, I get bored and start to feel complacent. I’ve been like this since childhood and find it to be a good trait. I bought most of the supplies for the necklace on Amazon and they arrived within 1-2 days of ordering. Although I do think that certain supplies would have been cheaper at a craft store supplier. But, nothing beats free shipping and saving gas to drive to the store. The project took me a few hours only because I was just learning how to use headpins and creating loops. But once I got the hang of it, things started moving pretty quickly! 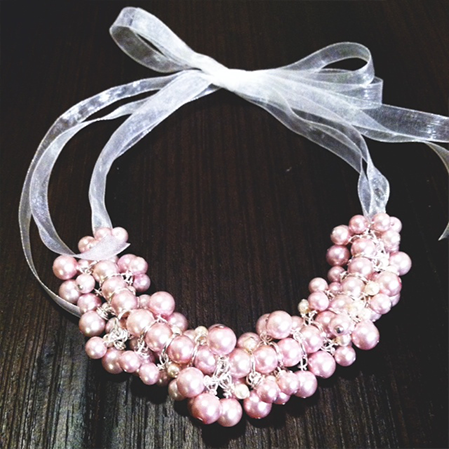 I used a white see through ribbon to tie the necklace together, which in turn makes it very comfortable to wear. Another warm day in SF! I’ve really been into wearing buttoned shirts and tying up the bottom. There is something just so cute about it. It’s very summery and fun. Hover over the images to learn about them! Want to know what all these cool dots of information are? Check out Stipple!